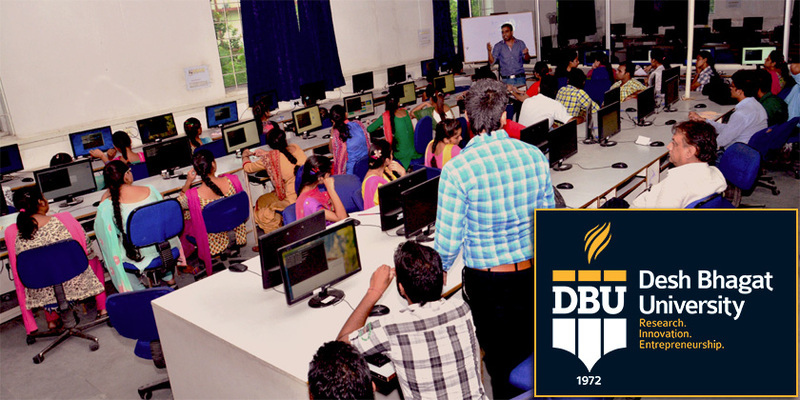 Desh Bhagat University Training and Placement Department organised a Technical Workshop for IT students. 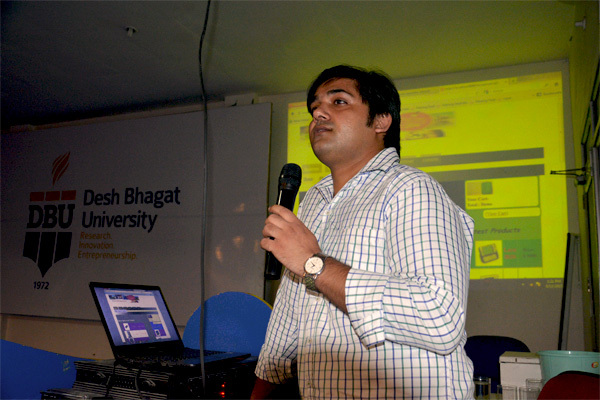 The workshop was aimed at acquainting the students with latest trends and technology of computer applications. A large number of students from MCA, M.Sc. (IT), PGDCA, B.Sc. and BCA classes actively took participate. Giving details, Pro Chancellor Tejinder Kaur stated that the university has started especial programmes on Industry-Academia Interface for the students and it will provide the students firsthand knowledge and practical exposure. 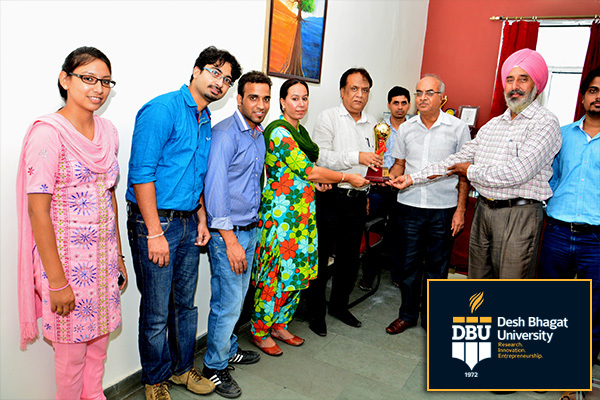 She briefed that the expert team which came to the university was headed by Mr. Naresh Kumar Dhamija (Director) from Texplore Laboratories, Chandigarh. The team interacted with the students & briefed them regarding Big Data Analysis, Tools – Hadoop, Sentiment Analysis, Real World Applications and other latest Technologies. The expert team including Sajjad Hussain, Gaurav Verma and Bipin Koli (All Research Analyst) conducted a Workshop on Python Language also and taught the students about its importance in today’s hi-tech era. During the Seminar, the information session was followed up by various queries put forward by students to which the learned speakers aptly replied which further enhanced the knowledge of students. A small test to assess the knowledge of students was also a part of this workshop. 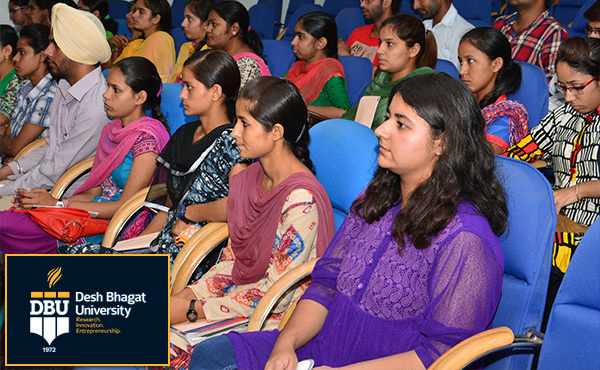 The students were quite happy to attend these programmes and declared that it was very informative. They thanked the university authorities for arranging such a knowledgeable workshop and said that it has added to their knowledge about several important things about the latest techniques and technology. University Chancellor, Dr. Zora Singh expressed the view that such events are very useful for students and help them in their multi-functional growth. He appreciated the initiative taken by Training and Placement Department. At the end of the workshop, university Vice-Chancellor Dr. Varinder Singh thanked the learned team and expected that it will prove quite useful for the students and faculty members.